At NGA, we are devoted to representing and supporting school governors and trustees to improve educational standards across England. To do this, we have a designed a variety of membership packages to provide you with expert advice and guidance, practical resources and education news and policy updates to keep you well informed in your role. Sign up today for access to essential resources to help you develop professional governance and keep you up to date and compliant, saving you both time and money. There are many benefits to becoming a member of NGA; see below for just a few. All NGA members get exclusive access to our online knowledge centre, our information hub for all best practice resources on topics including finance, staffing, Ofsted, curriculum, special education needs, legislation and school improvement. Whether you’re looking for quick guidance or a model policy, you’ll find all you need and much more in our knowledge centre. Other practical governance resources include checklists, information summaries, insights and cases studies – ideal for keeping up to date and compliant. Our e-newsletter is the best way to keep up to date with important government and education news, including policy announcements, information on consultations, legislation, key guidance and new research. Delivered during term-time for all members, you will receive concise and key updates every Friday to keep you well informed. 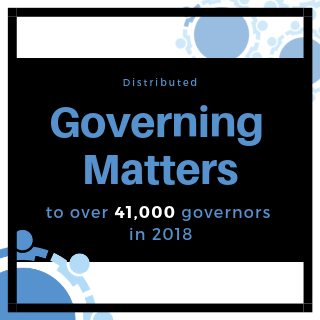 Governing Matters is our official bi-monthly member magazine, which is essential reading for governors providing strategic leadership in schools and academies. With contributions from policy makers, government ministers, governors and trustees, education leaders as well NGA staff, you will have all the in-depth latest news from our organisation, updating you on changes in policy, advice and guidance. At NGA, we want to promote and raise the voice of governors and trustees across England and one of the ways to ensure your voice is heard is by attending one of our events which run across the county. Our regional events and national conferences provide an opportunity to share best practice with fellow governors, trustees, clerks and school leaders. With high-profile speakers including governor ministers, our events are not to be missed. Due to the popularity of our events, places are limited so we recommend booking early to avoid disappointment. Keep an eye on our upcoming events on our handy events calender. Exclusive for our GOLD members is unlimited access to our GOLDline advice service, which offers independent and confidential advice on strategic, procedural and legal information about governance. Our advice team are highly experience and available to assist with any queries you may have, big or small. Whether you are looking for advice on governance roles and responsibilities, conflicts of interest, admissions, exclusions, and education law, our advisors will be able to help by email or phone. Read examples of our latest advice case studies to find out more about the service. NGA’s GOLDline advice service is support by leading education law firm Browne Jacobson. 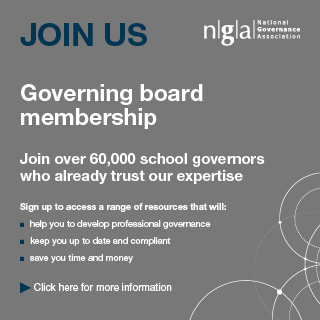 All NGA members receive a 50% discount on our sector-leading publications including our most popular and widely purchased induction guide for new governors and trustees Welcome to Governance and The Chair’s Handbook which is essential reading for chairs and aspiring chairs of governing boards. For a list of all of our publications, click here. When you sign up for GOLD membership with us, you’ll receive a complimentary welcome pack including a copy of our Welcome to Governance handbook and The Chairs Handbook, along with additional copies of Welcome to Governance for all governors. Bulk discounts are available for large orders. Please contact us to find out more via admin@nga.org.uk or call 0121 237 3780 (Option Six) to speak to a member of the team.